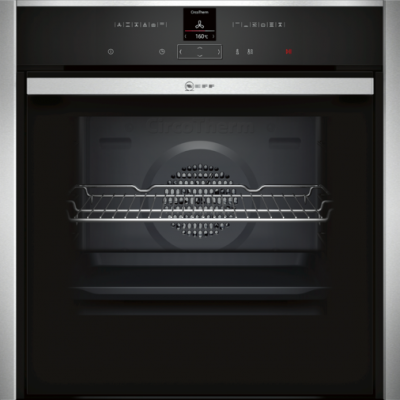 A 60cm Fan oven with a 65 litre capacity perfect for your everyday cooking needs. 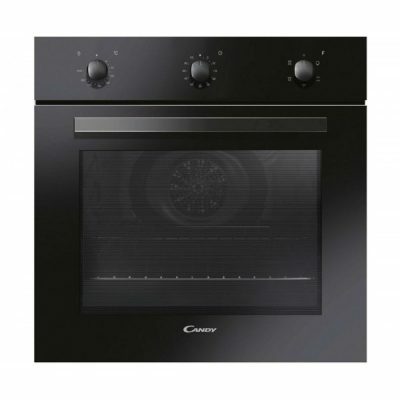 This easy to use fan oven features 4 oven functions including the grill function and rotary controls to set cooking functions, temperature and timer. There is also the minute minder with auto shut off, this will start and finish cooking at the set time and turn off automatically so food is cooked in perfect time. 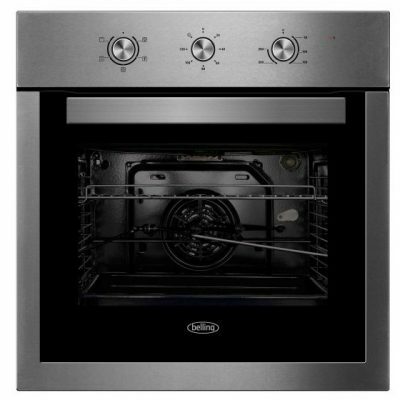 This Belling single oven offers exceptional value for money with 5 functions. Also providing catalytic liners for self-cleaning with a minute minder as an extra feature. The built-in oven with special hot air function: you achieve perfect baking and roasting results on up to two levels simultaneously. Hotair creates perfect results thanks to optimal distribution of heat on up to 2 levels simultaneously. Flap door: for especially convenient opening and closing of the oven door. Energy efficiency class A: Best baking results with low energy consumption. 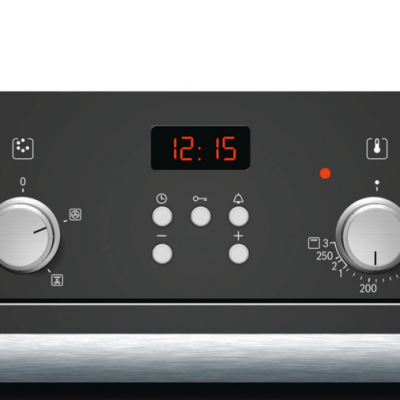 The EOA5454AAK is a breeze to operate with its control panel with LED display and rotary knobs,so you can easily and clearly set your cooking time. The removable door and glass panel make cleaning so much easier. The door will never slam with the VelvetClosing technology, which makes sure it closes gently every time. 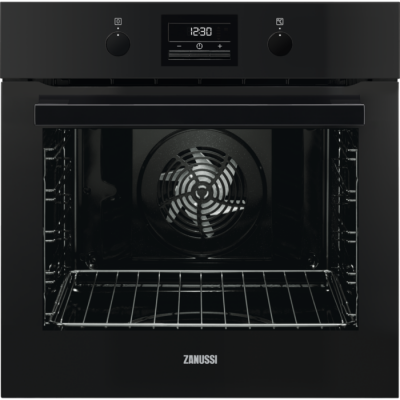 The Zanussi ZOP37972BK single fan oven delivers a generous 72 Litre capacity. 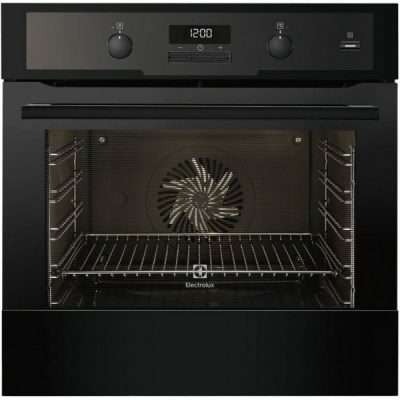 It is a multifunction oven that provides a host of cooking functions for you to control the desired result including thermaflow fan cooking to save you time.With its pyro cleaning function, this oven simply cleans itself. It burns away the dirt and grease, leaving a fine ash that can be wiped away in a moment. An oven and pizzeria in one! 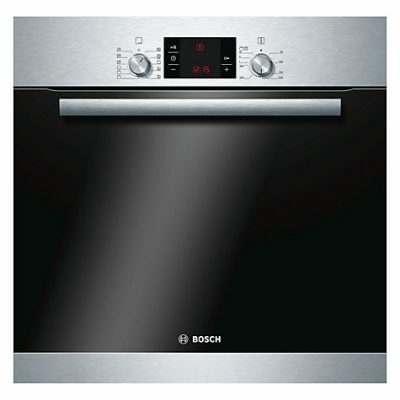 Single Oven with extra large 72 litre capacity. 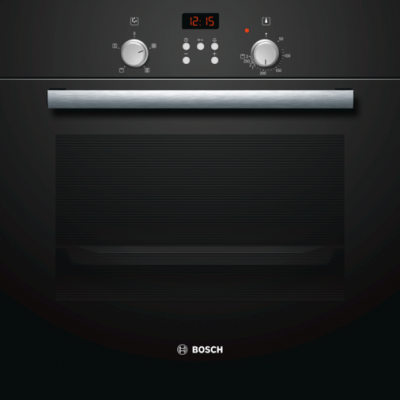 This Bosch built-in oven with automatic self-cleaning system: saves you lots of time and effort in cleaning. 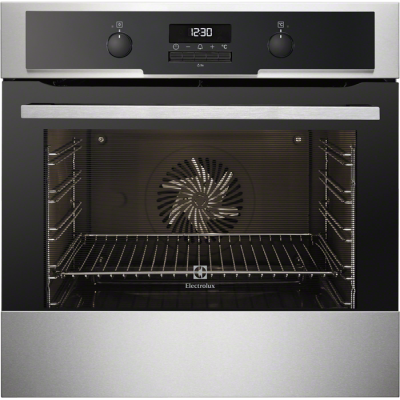 The pyrolytic SelfCleaning cycle heats the oven to 480˚c reducing any dirt to ash which can simply be wiped away once cooled. Our unique 3D Hotair system evenly heats all 3 cooking levels for even cooking results, you don't even have to turn the food. 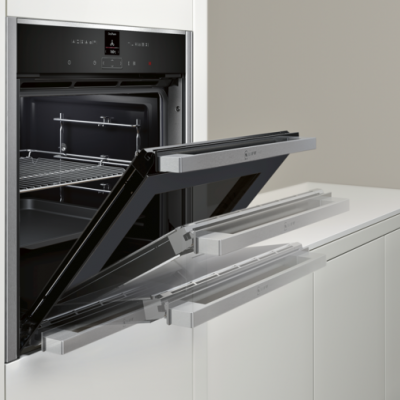 The duo for perfect cleaning: Pyrolysis after heavy use - the oven interior cleans itself. EasyClean® - the environment-saving option for fast oven cleaning. 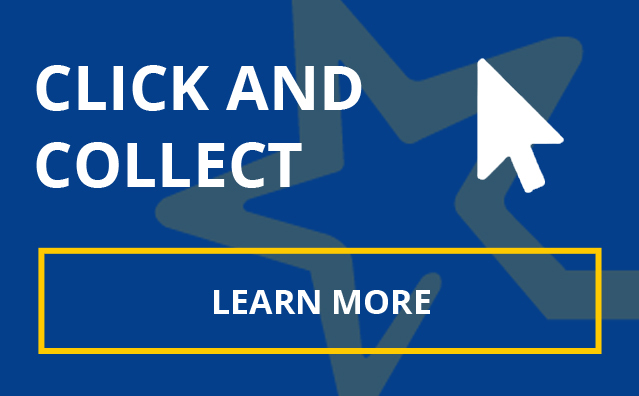 ShiftControl - fast navigation through menus and simple operation with the TFT display.